Welcome to the Official Scary Maze Game website! On this site you will find all of the best Scary Maze Games available on the internet! So, if you’re ready to have the time of your life, which may end up with your pants getting a little wet, try out all of the fantastic Scary Maze Games now! 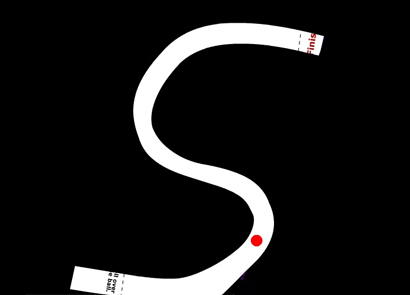 Scary Maze Game tests your ability to focus and maintain a steady hand to allow you to complete all 4 levels of the game. 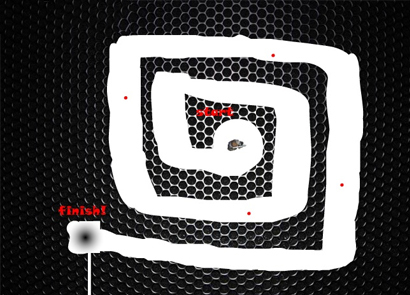 Using only your mouse, guide the dot through the maze from start to finish. Be careful not to let the dot touch the sides of the wall, though. If you do, it’s game over for you! Then, you’ll need to start the game all over from level 1! Similar to the previous version, in Scary Maze Game 2 your concentration and hand-eye coordination are being tested. 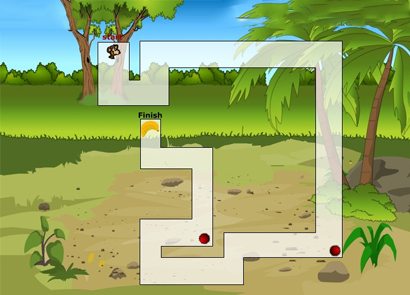 Guide the ball through each maze to the finish line to complete each level. Complete level 4 in order to move on to the bonus round. Make sure you’ve got your computer speakers turned all the way up for the secret surprise at the end of the bonus level! So, you think you’re a hotshot since you could complete the first two versions of the game? Well… test your hand in Scary Maze Game 3, hotshot! 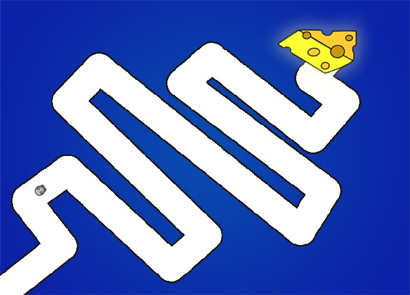 Guide the cute mouse to the end of each maze to win the prize: a big piece of tasty cheese. Complete all 5 levels of the game to enter the secret bonus level. But, be sure you have your headphones on and the volume cranked high! You wouldn’t want to miss out on the secret surprise! 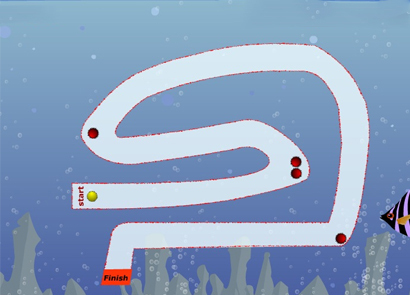 Similar to the previous versions, you’re tasked with completing multiple, challenging mazes with only your mouse. 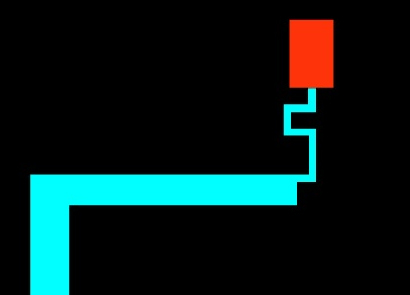 Click the block in each level, then carefully drag it to the finish line. Be careful not to touch the sides of the maze, though. Otherwise, you’ll have to start the game over from the very first level! Complete all five levels to unlock the bonus challenge. Think you can handle the challenge? I don’t. I dare you to complete all levels with your speakers blaring and headphones on! 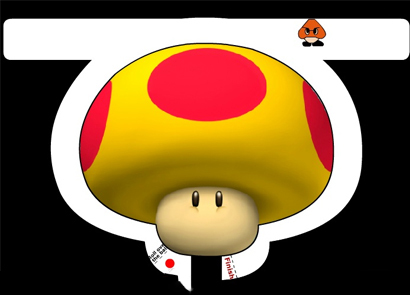 Many users weren’t too thrilled about the music in the previous versions. Guess what? In Scary Maze Game 5, the game offers better music, improved graphics, and more challenging levels than ever before! So put on your headphones, crank up the volume, and challenge your skills to complete the many levels available in this game. Just try not to leave a mess on your floor after you complete the bonus round, okay? Scary Maze Game is back and better than ever! 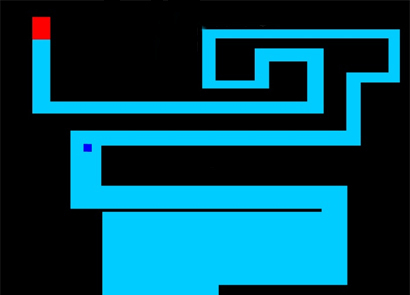 These new mazes offer more challenging levels such as the S maze and the M maze. They don’t sound challenging; you say? 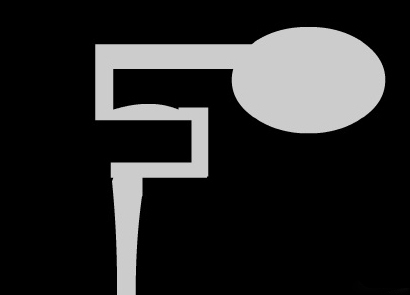 Well… you haven’t seen how narrow the walls are, or how large the ball that you have to drag through each maze is. Of course, the most challenging part of the game is keeping your hand steady enough to complete the bonus level – but I bet you’re too scared to reach that level anyway. 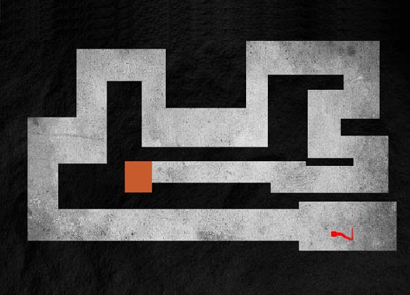 Scary Maze Game 7 pays a special tribute to the all-too-popular Nintendo game, Super Mario Bros. In addition to this tribute, the game also includes updated graphics which include animated images. Of course, the concept of the game is very similar to previous versions; you’re tasked with guiding each character on each level through the maze to the finish line. But watch out! The new animation features may cause you to become distracted, or worse, may cause you to touch one of the animated objects. Doing so will end your game and you will be forced to start all over from level one. If you’re lucky enough to have a steady hand and complete all of the challenging levels, then you’ll unlock the bonus round where you’re really in for a scary treat! Think you can handle it? Scary Maze Game has taken things one step further in creating the internet’s most exciting maze game yet. 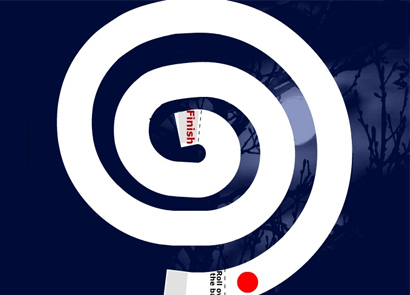 In Scary Maze Game 8 – similar to all of the previous versions – you are tasked with guiding your warrior character through each maze to the finish line. But, touching the walls in any level can be, well, deadly! Your little warrior will spontaneously combust if he touches the walls! We’re not sure what kind of deadly poison is on the walls in these levels, but whatever it is, you don’t want to touch it! If you can complete every level on the game, and pass the bonus round with your headphones blaring the impressive new music, then you’re in for a real treat! Have you ever wanted to play a maze game while underwater? Normally, doing so will lead to nothing more than a mess of a maze book, a pen that won’t work, and your lungs crying in pain for fresh air. Now, you can play your favorite maze game in an underwater adventure, packed with spooky thrills, killer fish, and tons of challenging levels! 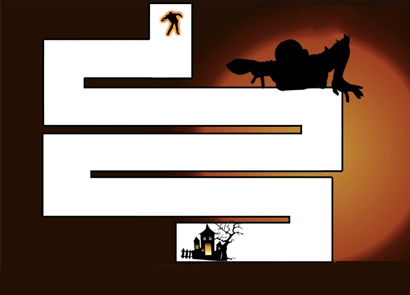 Try to complete each maze in Scary Maze Game 9 for a special, secret, spooky surprise! Scary Maze Game 10 offers a world of fun with new, challenging levels, interesting graphics, and entertaining music to enjoy. If you thought your hand-eye skills were pretty good before, you may reconsider your high skills once you play this game! Don’t forget to blast the music as loud as possible to really get into the game experience! Today, you can play these games even when you are outside. You can enjoy all the mazes available here and even some new versions. Your best option is to download Scary Maze Game for Android . If you have an iPhone, you can check out Scary Maze Game for IOS . Scary Maze DX offers simple graphics for users to enjoy. While some players may find this as a “negative” benefit, those with slow running computers will find it quite satisfying. As with the other versions, your job is to guide the blog through each maze to the finish line. The challenge comes at periodic times throughout each level, which tests your ability to stay in control of the mouse cursor while terrifying images flash before your eyes. Do you think you can beat this game without wetting your pants? Try it now and find out! Another fun addition to the Scary Maze Game series is the Scary Maze Halloween version. Packed with interesting, spooky characters often seen throughout this ghoulish holiday, the game also includes spooky Halloween music to really bring out the Halloween spirit! But, be careful while playing each level – you don’t want to touch the sides of the maze; otherwise, it’s game over for you! Think you can handle it? Let’s find out! Try it now!